Mix first 4 ingredients with 1 cup cheese and 1/2 cup salsa. Press into 12 muffin cups sprayed with cooking spray. Use back of spoon to make indentation in center of each. Place muffin pan on foil-covered baking sheet. Bake 20 to 25 min. or until meatloaves are done (160°F). Top with remaining salsa and cheese; bake 3 min. or until cheese is melted. 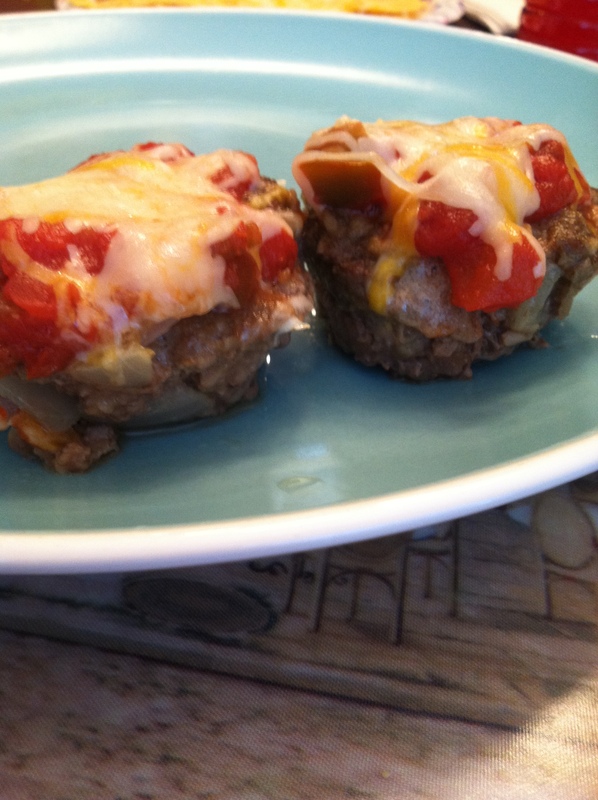 Personal Review: This is another really good recipe that I use often. It’s easy to throw together on a weeknight and it’s something a little bit different too. There’s not much of anything to say about this recipe, really. It’s fast, easy, and delicious. I would definitely recommend it. I typically serve it with chips and salsa and spanish rice. You can round it out with a salad as well. Oh yum! Got any to share? 😉 I’ll have to try these. We are always looking for quick stuff that’s a bit different and new. Why do I always cook the same things over and over?